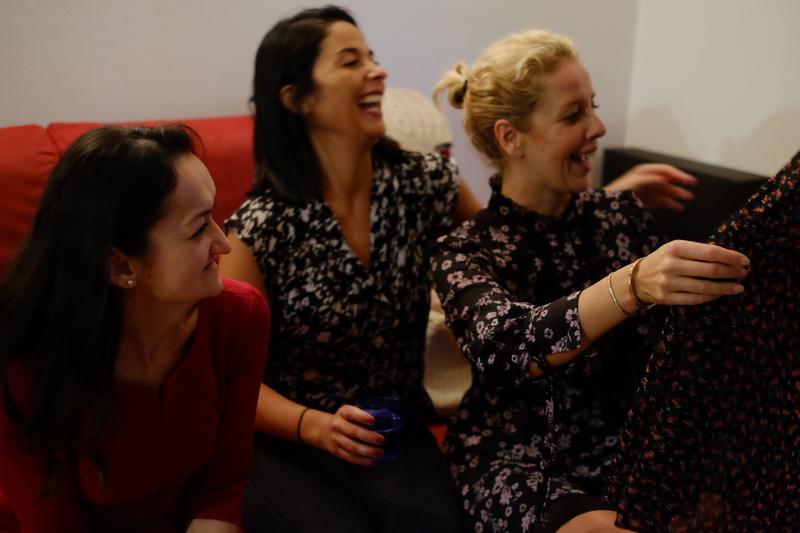 Clothing Swap Party – Italian Style! Milan isn’t really a city that is renound for it’s sustainable and ethical fashion scene, however I was hopeful upon arriving here that I’d be able to uncover what it had to offer with my super sustainable sleuthing skills. 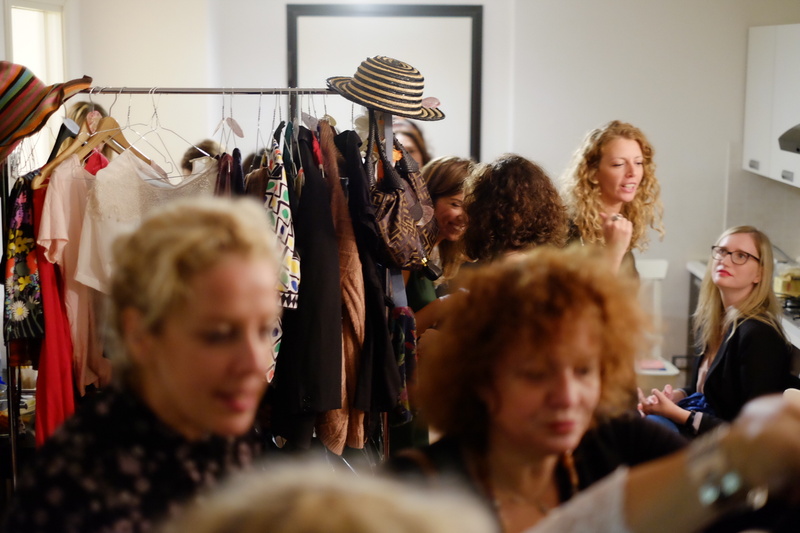 Within my first few weeks I managed to nab myself an invite to a local Clothing Swap Party thanks to a Facebook group I’d joined called Girls in Milan. 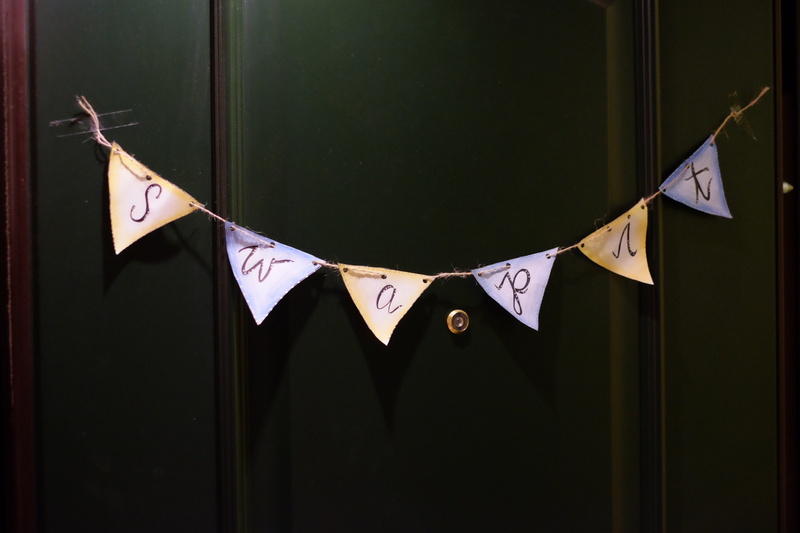 I knew I’d found the right apartment when I came across bunting with the words “SWAP IT” on the door. I was one of the first people to arrive, and quickly explained that I didn’t actually come along to swap anything, but more to observe and hopefully make some friends (which was also totally acceptable). I started chatting to a cool Canadian girl named Jesabel with an enviable pixie haircut, and we quickly bonded over missing our boyfriends back home, entrepreneurship and running our own businesses (check out her brilliant Boss Girl video HERE and her Kickstarter Campaign HERE). The small living room was very quickly packed with clothing and women, most speaking loudly and passionately in Italian, although I did manage to connect with a few others who were also there to make new friends. Once everyone had hung their clothes and had their tokens distributed is when chaos erupted. This is something I’ve experienced a few times in Italy, where things like personal space go straight out the window. Jesabel was in the thick of it, browsing swiftly and putting her tokens on the items she wanted. Pretty quickly she realised that someone had been removing her tokens and replacing them with their own (very bad form). Together we discussed what to do, and both agreed to ask the hosts, however by the time this happened, the woman who had swapped out Jesabels tokens had left the party! It seemed Jesabel wasn’t the only one to get stung, and apparently it wasn’t just one woman doing the dirty (there was a pair who’d walked out with more than they’d swapped). This put a bit of a dampener on the night. There wasn’t the slow and relaxing pace, conversation and connection that I had experienced at other clothing swap parties back home, but I think that had a lot to do with the fact that the ones I’d been to were with friends and not strangers. 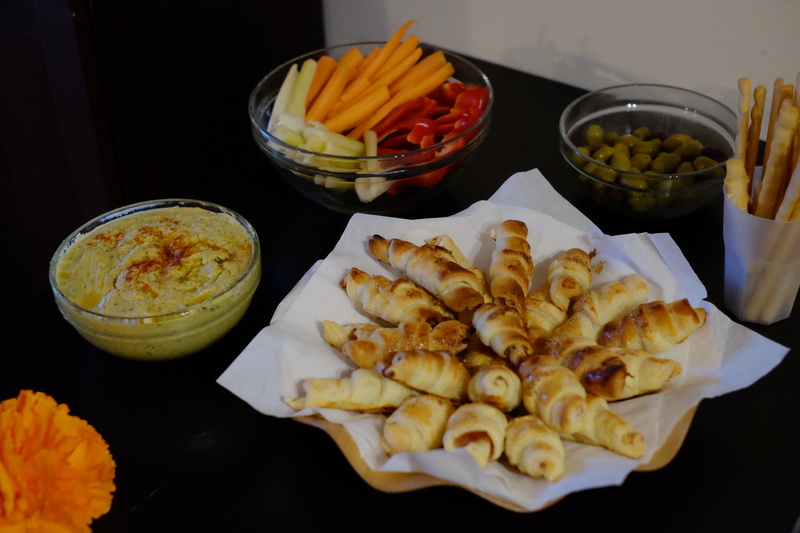 The language barrier also made it difficult, and the chaos of it all made me feel safer sticking to the sidelines eating carrots and hummus dip as opposed to trying to start a conversation. Luckily, Jesabel managed to find 7 good quality pieces in the end, one of which was a sparkling straw hat which she picked especially for me. I walked away with a new experience, a really cool new friend and a bloody awesome hat. 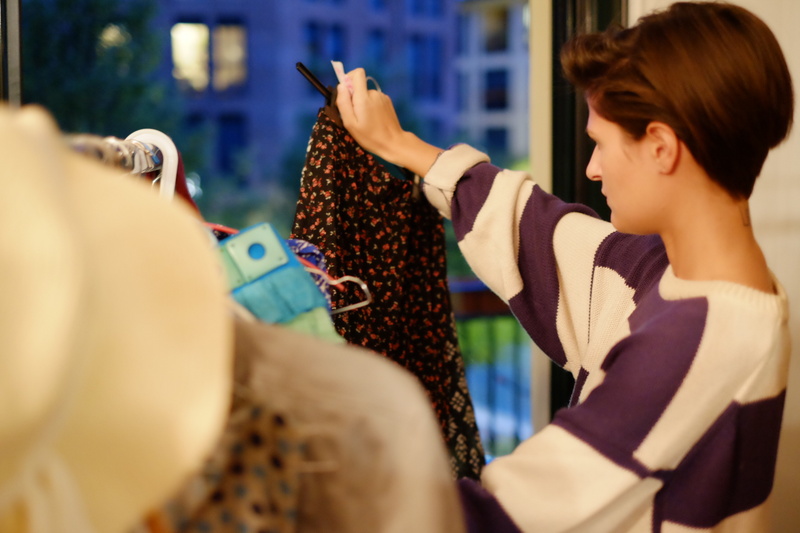 Episode 1: Recreate Fashion Trends by Thrift Shopping! 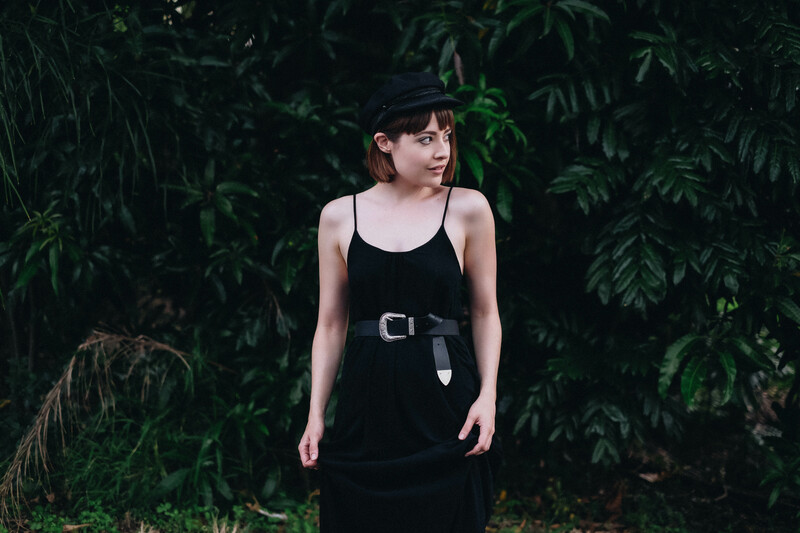 My name is Leah, I'm 27 and currently living in Brisbane, Australia. I'm a former fast fashion addict turned slow fashion activist, on a mission to change the way we shop + spend + style.